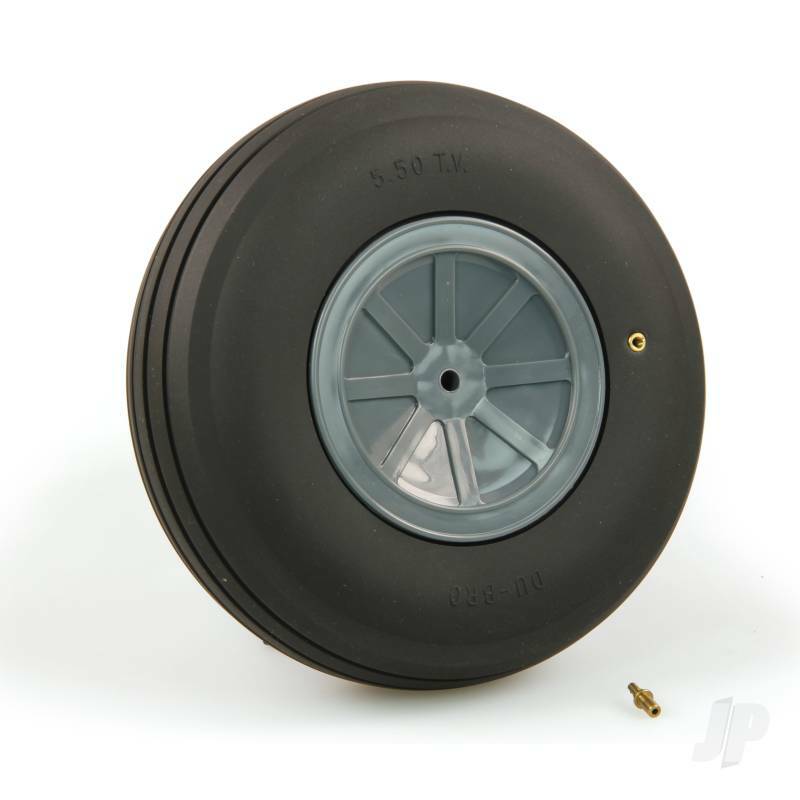 550TV Tire Width 1.750 (44.4mm) Our treaded wheels are narrower in width to fit inside wheel pants and retracts easier. Comes with 3/16 (5mm) axle diameter and can be drilled out to 1/4 (6mm) if desired. Comes complete with our positive seal air valves and inflator adapter.